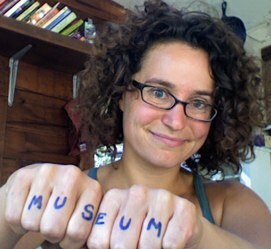 Museum 2.0: Want to Get Your Content Out There? Put it on Wikipedia. At a recent talk in Chicago, an audience member asked a question. His foundation supports a private museum that is rarely open to the public. Over the past few years, they've worked hard to make their rich content more accessible both through digitization and programs... but people aren't coming. How can he promote smarter outreach for the future? While there are many ways for museums to reach new audiences, when it comes to specialized knowledge, it's often a question of reaching the niche who care deeply about German watches from 1822 or the evolutionary shift in raccoon striping over time. The people who want that content may not be in the same city as the museum nor even aware of the museum's holdings. So they go to the Web and start exploring. This is museum digitization 101. Museums of all sizes have moved to digitize objects and place them on discrete webpages so visitors can easily get to the content they want through a Google search. Institutions create exhibit microsites, blogs, and knowledge portals so people beyond the museum walls can explore content. But Google isn't the only way people access information on the Web. When people want knowledge, their first stop might not be a search engine. It might be Wikipedia. If you want people to find out about your unique holdings and knowledge, rather than just sharing them on your own website (findable through Google, but maybe not at the top of the search results), why not also add them to the largest world encyclopedia? Wikipedia is an incredible place to reach hungry learners and join a community of dedicated researchers who care deeply about making knowledge accessible to everyone. This isn't rocket science, but it's surprising how few museums have gotten involved with Wikipedia. What excites me about it is how accessible it is to any size institution. Anyone can contribute to it... including museum professionals. For example, for the Brooklyn Museum's recent exhibition on women and pop art, Seductive Subversion, curatorial intern Rebecca Shaykin was assigned to improve (and write) Wikipedia articles on the 25 artists profiled in the show. The goal was twofold: to share knowledge about these artists with the world, and to create a content base that could be used for an iPad-based interactive component of the exhibition. I certainly wasn’t expecting to find Wikipedia entries for all the artists in Seductive Subversion. After all, a good number of them, such as Mara McAfee, Dorothy Grebenak, and Kay Kurt, have been virtually forgotten over the years. But I simply couldn’t believe that many celebrated artists, including May Stevens, Dorothy Iannone, and Lee Lozano, had no Wikipedia presence whatsoever, while Pauline Boty, Britain’s reigning “Queen of Pop,” had one paltry paragraph dedicated to her brief but stellar life. Rebecca spent much of the summer before the show researching the women artists, translating curatorial knowledge into Wikipedia's markup language, creating articles, and expanding the existing ones to produce museum-quality contributions. The exhibition is now closed. The iPad-based interactive was very popular, both for the novelty of the iPad and the familiarity of the Wikipedia interface. From an operational perspective, this approach to content development does double duty--it generated a great content base for visitors AND one that persists in a widely used online space. While many museum media projects involve developing content that can be used across multiple platforms--web, kiosk, mobile--that content usually stays within the institutional domain both physically and virtually. Even projects like ArtBabble, a niche video site that exists across and beyond the museums that feed it, must attract new users who do not have a pre-existing relationship with the website. Working in a platform like Wikipedia allows museum knowledge to go where the people are. And unlike YouTube, Flickr, Facebook, and other highly-trafficked third-party sites, Wikipedia's mission, lack of ads, and status as a non-profit makes it a more comfortable bedfellow for many museums. The artists featured in Seductive Subversion deserve to be better integrated into the narrative of Pop Art, in text books, on museum walls, and, yes, even on Wikipedia. What I’ve done is simply lay the groundwork for their presence on this popular site, in the hopes of generating deeper interest in their lives in work amongst visitors to our exhibition and the general public alike. The pages featured on the iPads in our galleries, like all Wikipedia pages, are continually being updated. Already Wikipedians have begun contributing to the pages I created just a few weeks ago. Like any information source, Wikipedia has inherent weaknesses. The knowledge presented is hardly universal--as Rebecca found out when she first investigated the presence of these important artists on the site. The Wikipedia community is serious about sharing knowledge, and museums can help that knowledge grow in particular directions of interest and expertise. Institutions can do so actively, as Brooklyn did. But they can also just make it easier for Wikipedians to find and use museum content in their work. At the Powerhouse in Sydney, objects in the online collection now have Wikipedia citation codes so interested folk can add images and information from the museum content to Wikipedia articles. If you're interested in jumping into the Wikipedia waters and need some guidance, send an email to glam[at]wikimedia[dot]org. That will send you to Liam Wyatt, a friendly Australian who manages cultural partnerships for Wikimedia and is a vocal advocate for museums entering this space.